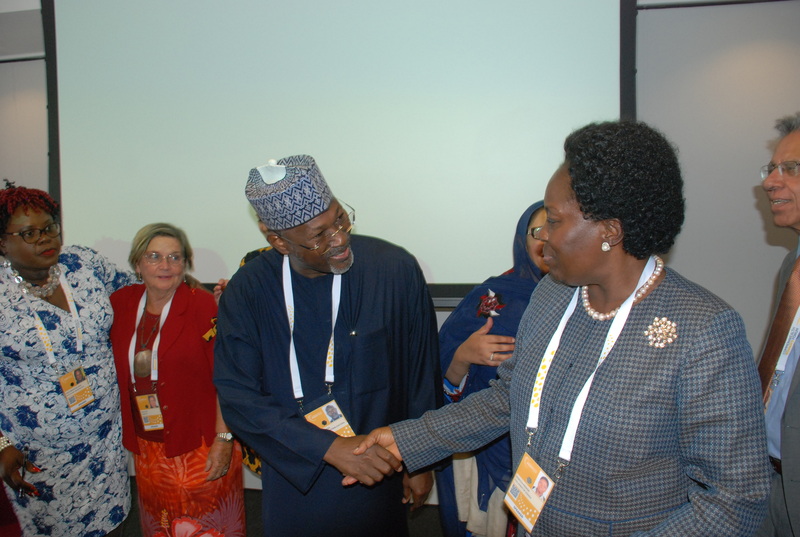 Speaker Rebecca Kadaga greets Prof. Attahiru Jega during the 2018 Commonwealth Women’s Forum in London, UK-1. The Speaker of Parliament, Rebecca Kadaga, has said there is a need to change the education curriculum so that children can be trained to appreciate gender parity at a young age. Ms Kadaga made the remarks while speaking at a meeting under the Commonwealth Women’s Forum in London, United Kingdom ahead of the 2018 Commonwealth Heads of Government Meeting. “There’s also a need for voter education so that the electorate can appreciate the need to improve the percentage of women in leadership positions,” Ms Kadaga added. She also noted the need to address violence against women who express interest or engage in leadership and political positions. Speaker Kadaga takes a group photo with participants at the 2018 Commonwealth Women’s Forum in London, UK. “Some marriages have ended because partners support different political parties. There needs to be parity in homes despite the difference in political affiliations,” said Kadaga, adding that there was need to change the law to make political parties bear responsibility for the actions of their representatives in leadership positions, which would guide punitive action on unbecoming behaviour. 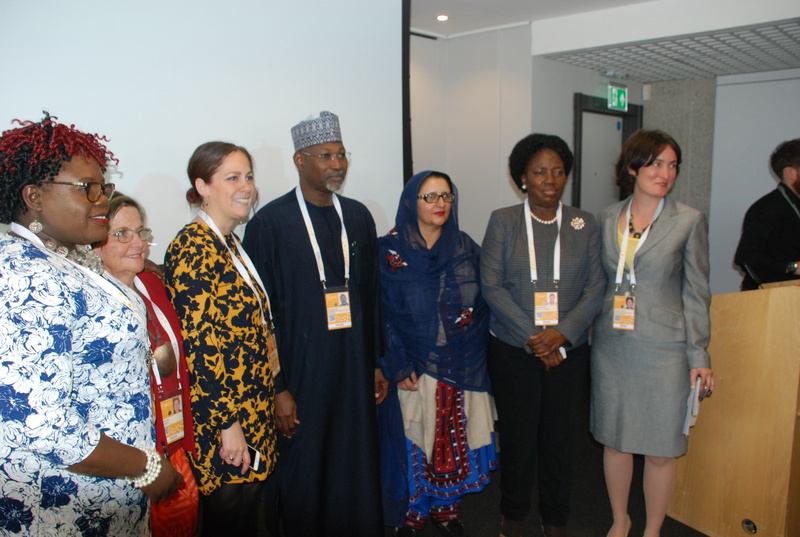 The Commonwealth women’s meeting is premised on developing a framework for action on violence against women in elections and centred on real life experiences of female political leaders from the 53 Commonwealth member states including Papua New Guinea, Pakistan and Uganda among others. Participants at the meeting noted that female legislators had been subjects of sexualization during elections, as well as victims of slander; citing the example of former 2016 US presidential candidate, Hillary Clinton. “Women in the Caribbean are confronted by party structures and their male counterparts look at them as threats,” noted Hon. Hazel Brandy Williams, the Junior Minister of the Nevis Island Administration in St. Kitts and Nevis. Dame Carol Kidu, a former Member of Parliament and former Minister for Community Development in Papua New Guinea said that women were increasingly engaging in politics but had low chances of winning. The session highlighted some of the Commonwealth’s latest publications which included a book entitled, ‘Gender and Inclusive Elections in Commonwealth Africa’ where Kadaga is one of the authors. During the course of the forum meetings, presenters noted the need to advocate for and encourage more women to vie for leadership positions, noting social media as a new powerful tool to promote gender parity. “It is in all our interest that all women are involved in issues of national mediation, thus getting more women involved willingly in leadership is key,” noted Lord Tariq Ahmad of Wimbledon and Minister of State for the Commonwealth and United Nations. The Commonwealth Women’s Forum, alongside the Commonwealth People’s Forum and Commonwealth Youth Forum are raising issues and building solutions to address challenges in the Commonwealth member states that will supplement resolutions from the 2018 Commonwealth Heads of Government Meeting in London, UK.